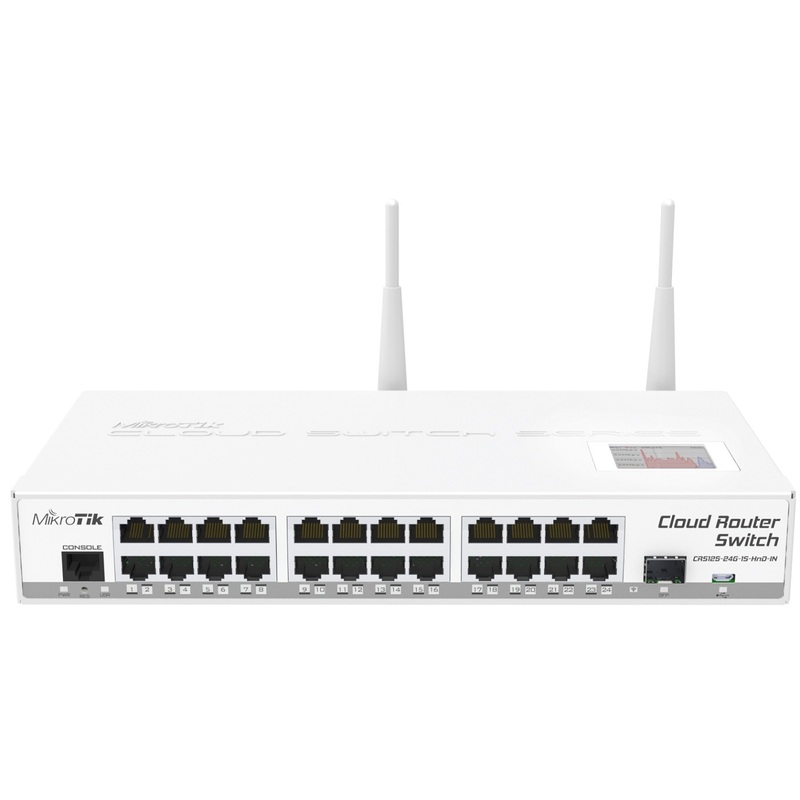 Cloud Router Switch is MikroTik's new Smart Switch series. 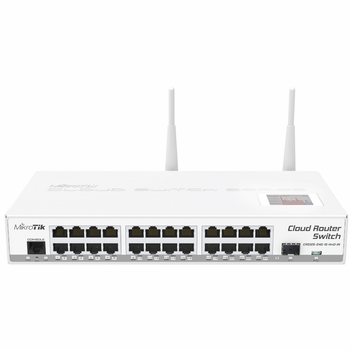 It is a fully functional Layer 3 switch and is powered by the familiar RouterOS. All the specific switch configuration options are available in a special switch menu, but if you want, ports can be removed from the switch configuration and used for routing purposes. Choose ports for wire speed switching or for routing purposes. What’s more - this device has a built in 2.4GHz wireless access point. This means you can have an AP, a router with any number of ports and a full wire speed smart switch - all in one device - ideal for medium/small businesses and offices. It has 24 gigabit ports, one SFP cage, a microUSB port and a built in Wireless AP.